Your roof is an investment. It is also your first line of defense in protecting your home and its valuable contents against the elements. This document will cover the roof as a system, how roofs can act as moisture barriers, choosing roofing materials, energy efficiency and cool roofs, and how to choose a roofing contractor. It is important to recognize that roofing is more than shingles, tile, or metal. A roof system consists of several components, properly assembled to provide the appropriate shelter for a structure. These include structural elements, moisture barriers, and possibly insulation and ventilation. The primary design for a roof system should address the climate and weather conditions in your area. For example, a hip roof with a moderate slope works best for hurricane prone areas. The secondary design should limit complexity in the roof system. A simple roofline with few openings through the roof (penetrations) will perform better and will need less maintenance. In addition, repair or replacement costs are generally less for homes with a simple roof design. Roof components that add complexity to the design of roof systems include dormers, skylights, plumbing penetrations, or ventilation penetrations. A home’s structural roof elements, including trusses or rafters, bracing, and sheathing, protect it from damage caused by wind or falling debris. Complete protection is the key to an effective roof system. What may seem like a minor oversight or slight damage can have a negative effect on the performance and longevity of roof components. Proper design and material selection are crucial in creating and maintaining a roof system. Chapter 3, Building Planning of the Florida Building Code 5th Edition (2014), Residential is a good resource for more information about building planning and design. How can my roof act as a moisture barrier? Moisture may damage the roof system if not properly considered when designing and installing the roof. Protecting a home from moisture and leaks requires consideration of many factors. Avoiding condensation, correctly installed moisture barriers, and flashing and proper drainage are a few key elements. The roof system begins with sheathing, generally oriented strand board (OSB) or plywood, attached to the rafters or trusses. The sheathing serves as a basic water barrier, provides lateral support for the trusses, supports weight on the roof (like workers), and forms a surface for applying a more complete moisture barrier. The roofing underlayment, usually roofing felt (or tar paper), is applied underneath the primary roofing material to shed water that seeps through the roofing. It is an essential part of the primary protection system. This material comes in rolls and is attached directly to the roof sheathing in overlapping layers. Sometimes another layer of defense is installed between the roof sheathing and the roofing felt for protection from high wind or snow build-up. This secondary water barrier can be 4-inch wide strips of self-adhering polymer bitumen tape applied directly to the sheathing or decking (where edges meet). It may also be an approved self-adhering polymer modified bitumen sheet covering the entire roof deck. The exterior roofing material acts as the primary bulk water barrier of the home, and many different types are available. For most structures, roofing materials must meet certain minimum standards established by the Florida Building Code. The most common roofing materials used in hot, humid climates include shingles (fiber glass/asphalt and organic/asphalt), metal, tile (clay or concrete), and built-up (flat roof, tar or modified bitumen and gravel). The most likely places to encounter leaks in a roof are at joints or penetrations. These locations are generally sealed using metal flashing, asphalt shingles, neoprene, caulk, or tar. Over time, with exposure to extremes in temperature, these materials can expand, contract, shift, or crack, creating spaces for water intrusion. Annual inspection can help ensure that your roofing system is in good condition. Chapter 9, Roof Assemblies, of the Florida Building Code 5th Edition (2014), Residential provides detailed requirements for roof assemblies in your area. There are a number of things to consider in choosing the best roofing materials for your needs. Cost is a factor for most people, but this involves more than simply looking at the up-front price. Choosing materials that cost more initially may yield immediate savings (lower utility bills, possible lower insurance rates); intermediate term savings (better protection of your valuables from storms); and long-term savings (many more years before your next roof replacement). The location of your home may influence your choice of roofing materials. Things to consider should include: the need for fire resistance (Class A is the highest fire resistant rating for roofing materials), exposure to sun, amount of rainfall, risk of high wind, whether conditions are favorable for growth of moss and algae, proximity to trees (source of falling leaves or other debris), etc. In hurricane zones, more specifically the Wind-borne Debris Region (see Figure 1), it is not only wise to invest in wind rated roofing and high performance underlayments (synthetic or membrane), but also to install these in accordance with manufacturer instructions. Chapter 15, Roof Assemblies and Rooftop Structures of the Florida Building Code 5th Edition (2014), Residential includes minimum requirements for the installation of roofing, components, roofing systems, roofing assemblies, and waterproofing. For more information on high-wind roofing systems, see the Federal Emergency Management Agency (FEMA) publications listed in the References and Resources section of this document. 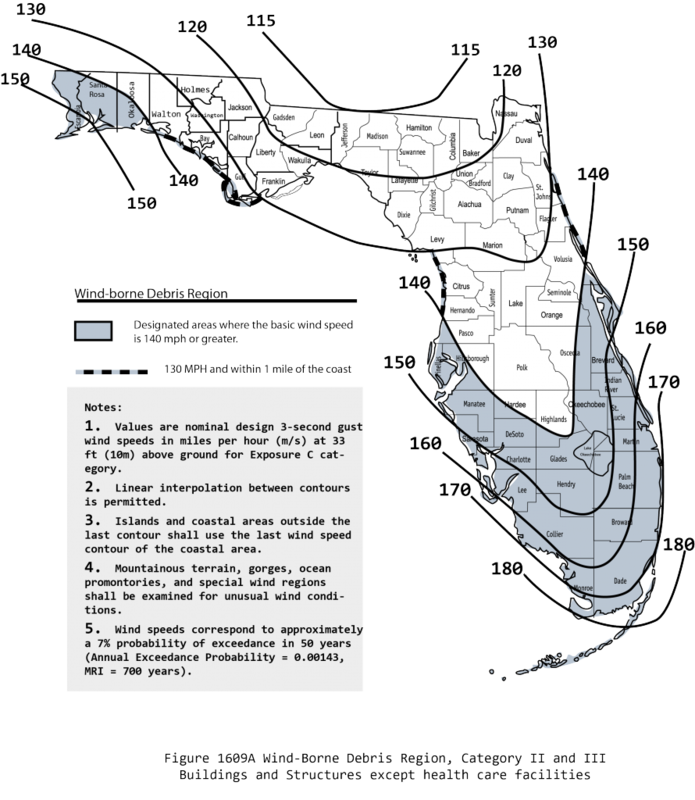 Figure 1: Wind-Borne Debris Region map of Florida. Credit: Florida Building Commission. Energy Efficiency – What is a Cool Roof? In this publication, we are concentrating on roofs with energy efficiency in mind. The U.S. Environmental Protection Agency (EPA) estimates that Americans spend about $40 billion each year to air condition buildings—one-sixth of all electricity generated in this country. The most important characteristic of a cool roof is high solar reflectance, because it helps to reflect sunlight and heat away from a building, reducing roof temperatures. Thermal emittance, the ability of a material to emit (give off) heat (via infrared radiation) to the surrounding atmosphere, also plays a role. Cool roofing products are made of highly reflective and emissive materials that can remain approximately 50º to 60°F (28º to 33°C) cooler than traditional materials during peak summer weather. Note that traditional roofs in the United States can reach summer peak temperatures of 150º to 185°F (66º to 85°C). With energy savings in mind, the first thing to consider is the solar reflectance of the roofing material—the higher the number (decimal between 0 and 1) the better. Solar reflectance will depend on composition of the roofing material as well as its color. In general, lighter colored materials will reflect more solar radiation than darker materials, and smooth materials will reflect more than coarse materials. However, new advances in materials and techniques are reaching the marketplace, so there are exceptions to these rules of thumb. “Cool color” pigments can make a dark color perform like a light color. The solar reflectance value of a whole roof system also depends on the slope of the roof. ENERGY STAR performance specifications require an initial solar reflectance of 0.65 or greater for low-slope roofs, and 0.25 or greater for steep slope roofs. Consult Chapter 4 [RE] Residential Energy Efficiency, Section R405.7.2, of the Florida Building Code 5th Edition (2014), Energy Conservation and your roofing contractor for more information. A reflective roofing with a high thermal emissivity rating (>0.8) will perform best. As stated above, thermal emissivity refers to the materials ability to emit heat, so that a cool color painted metal roof will reduce heat gain more effectively than an unpainted metal roof. To help you get started, look for ENERGY STAR® qualified roof products. These products can lower the roof surface temperature by up to 100º F, thereby decreasing the amount of heat transferred into your home. The EPA states that ENERGY STAR qualified roof products can reduce peak cooling demand by 10 to 15 percent. This might allow you to purchase a smaller, more efficient, and less expensive cooling system. Use EPA’s roofing comparison calculator to roughly estimate the savings a reflective roof can offer to a typical building, and aid in your purchasing decision. Keep in mind that ENERGY STAR labeled roof products can help save money by reflecting more of the sun’s energy back to the atmosphere, thereby keeping your building cooler and reducing your air conditioning bills. Therefore, you’ll receive the most benefit from using these products in hot, sunny climates. Reduced energy use: A cool roof transfers less heat to the building below, so the building stays cooler and uses less energy for air conditioning. Reduced air pollution and greenhouse gas emissions: By lowering energy use, cool roofs decrease the production of associated air pollution and greenhouse gas emissions. Improved human health and comfort: Cool roofs can reduce air temperatures inside buildings with and without air conditioning, helping to prevent heat-related illnesses and deaths. For an in-depth look at cool roofs including a comparison of traditional roofing products versus cool roof options see EPA’s Reducing Urban Heat Islands: Compendium of Strategies Cool Roofs. Another good resource for information is The Cool Roof Rating Council (CRRC). The CRRC has answers to questions about choosing and installing cool roofing products. It maintains lists of codes and green building programs, rebates and incentives, articles and upcoming CRRC presentations, and useful links to cool roof resources, calculators, and industry organizations. 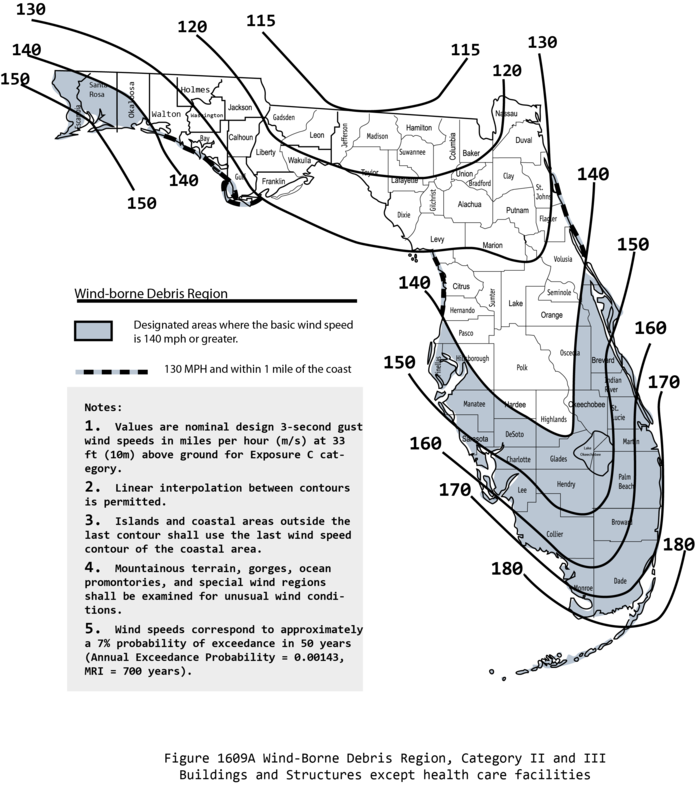 The Florida Solar Energy Center completed a 10 year study on cool roofs in Florida. The case studies validate the effectiveness of using a cool roof system in Florida to save energy. All roofing contractors are not alike, and time spent finding a well-qualified contractor will make a big difference in the quality of your roof and the experience of roofing or re-roofing your house. At a minimum, roofing work in Florida requires a Florida state licensed roof contractor. Under limited circumstances, roofing may be performed by a general, building, or residential contractor (according to the Florida statute 489.113(3)(b): installation, or repair made under warranty, of wood shingles, wood shakes, or asphalt or fiber glass shingle roofing materials on a new building of his or her own construction—this does not include re-roofing). To verify any business background or Florida licenses held by the roofing contractor or qualified contractor see “For more information” below. The key is to make sure the contractor is qualified to do roofing and the specific type of roofing for your house. In addition to licensure, Florida requires compliance with workers’ compensation insurance coverage, and this is especially important since roofing is dangerous work. If you select a contractor or company without proper workers’ compensation insurance or good general liability insurance, you may be held responsible for any injury or damage. To verify the contractor’s worker’s compensation coverage, see “For more information” below. Because you expect your roof to last for many years, it makes a lot of sense to research the quality of the roofing contractor or roofing company you select. Your new roof will come with a warranty, but this may not help much if the roofing company is out of business by the time you need a repair. You can and should verify the length of time your contractor has been licensed and in business. This verification should be done for both the individual licensed contractor and for the business. You should also check your local court records for any liens or judgments filed by or against your contractor. See “For more information” below. This is your roof, your investment, and you should ask questions before signing a contract. Re-roofing estimates and work can be heavily impacted by the quality of previous roofing work, including repairs. If roof damage is extensive, you may be required to bring your entire roof (not just the damaged portion) up to current building code standards—check with your local building department. Failure to hire a properly licensed and qualified contractor may invalidate your homeowner’s insurance coverage for roofing damage or other damage related to the performance of your roof. It may also subject you to criminal penalties. Failure of your contractor to obtain a roofing permit (where required) and comply with workers’ compensation and safety requirements may stop work and cost you more money to complete the work. If you need a building permit and your contractor suggests it will be best if you obtain the permit yourself—beware: this is never a good idea. It is your responsibility to make sure that all material suppliers and subcontractors (if any) are paid. If you pay your contractor, and he or she does not pay others, you may legally be required to pay twice. See the Florida Statutes, Chapter 713: Liens, Generally, Section 713.13: Notice of Commencement for important requirements. Check with the Building Inspections department of your local Department of Growth Management to determine the requirements for your particular city/county. You can search for information about the business entity (corporation or other form of business, length of time in existence, etc.) and for other or previous affiliations by searching under the roofing contractor’s name at the Document Searches portion of the Florida Department of State, Division of Corporations free online search service. Find information about any professional licenses held by the roofing contractor (such as architect, engineer, contractor, building code administrator, etc.) by clicking on Verify a License at the Florida Department of Business and Professional Regulation’s website or by calling 850-487-1395. You will first need to learn what licenses are held by the roofing contractor, and then check for license validity and any record of violations. In addition to verifying licenses, be sure to check for any charges of unlicensed activity. Check for proof of coverage or any violations relating to workers’ compensation insurance (a common area for problems in construction) at the Division of Workers’ Compensation Compliance Proof of Coverage Search Page or by calling 800-742-2214. Akbari, H. and Desjarlais, A. 2005. Cooling down the house: Residential roofing products soon will boast “cool” surfaces. Professional Roofing. Retrieved May 15, 2015. Cool Roof Rating Council (CRRC) website. Retrieved May 29, 2015. Florida Building Commission. (2014). Chapter 3: Building Planning. In Florida Building Code 5th Edition, Residential. International Code Council. Florida Building Commission. (2014). Chapter 8: Roof-Ceiling Construction. In Florida Building Code 5th Edition, Residential. International Code Council. Florida Building Commission. (2014). Chapter 9: Roof Assemblies. In Florida Building Code 5th Edition, Residential. International Code Council. Florida Building Commission. (2014). Chapter 15: Roof Assemblies and Rooftop Structures. In Florida Building Code 5th Edition, Residential. International Code Council. Florida Building Commission. (2014). Residential Provisions, Chapter 5 [RE]: Referenced Standards. In Florida Building Code 5th Edition, Energy Conservation. International Code Council. Florida Department of Business and Professional Regulation, Licensing Portal. Certified Roofing Contractor as an Individual. Retrieved June 1, 2015. National Roofing Contractors Association. Homeowners | Everybody Needs a Roof. Retrieved June 5, 2015. Online Sunshine: The 2014 Florida Statutes. Title XXXII, Regulation of Professions and Occupations; Chapter 489, Contracting; Section 489.113 Qualifications for practice; restrictions. Retrieved June 5, 2015. Online Sunshine: The 2014 Florida Statutes. Title XL, Real and Personal Property; Chapter 713, Liens, Generally; Section 713.13 Liens, Generally: Notice of Commencement. Retrieved June 5, 2015. Parker, D.S., McIlvaine, J., Barkaszi, S.F., Beal, D.J. and Anello, M.T. 2000. Laboratory Testing of the Reflectance Properties of Roofing Material (FSEC-CR-670-00). Florida Solar Energy Center, Cocoa, FL. Retrieved May 20, 2015. U.S. Environmental Protection Agency Office of Atmospheric Programs. Reducing Urban Heat Islands: Compendium of Strategies. Retrieved May 15, 2015. U.S. Department of Homeland Security/Federal Emergency Management Agency (FEMA). 2010. Technical Fact Sheet 7.3: Asphalt Shingle Roofing for High-Wind Regions. Home Builder’s Guide to Coastal Construction Technical Fact Sheet Series (FEMA 499). Retrieved June 1, 2015. U.S. Department of Homeland Security/Federal Emergency Management Agency (FEMA). 2010. Technical Fact Sheet 7.4: Tile Roofing for High-Wind Areas. Home Builder’s Guide to Coastal Construction Technical Fact Sheet Series (FEMA 499). Retrieved June 1, 2015. U.S. Department of Homeland Security/Federal Emergency Management Agency (FEMA). 2010. Technical Fact Sheet 7.6: Metal Roof Systems in High-Wind Regions. Home Builder’s Guide to Coastal Construction Technical Fact Sheet Series (FEMA 499). Retrieved June 1, 2015. U.S. Environmental Protection Agency / U.S. Department of Energy ENERGY STAR. Roof Products for Consumers. Retrieved June 1, 2015. U.S. Environmental Protection Agency / U.S. Department of Energy ENERGY STAR. Roof Products Key Product Criteria. Retrieved June 1, 2015. U.S. Environmental Protection Agency / U.S. Department of Energy ENERGY STAR. Roof Savings Calculator. Retrieved June 2, 2015. Van de Lindt, John W., Andrew J. Graettinger, Rakesh Gupta, Steven E. Pryor, and Thomas D. Skaggs. 2005. Damage Assessment of Woodframe Residential Structures in the Wake of Hurricane Katrina, A Preliminary Report. The National Science Foundation. Retrieved June 3, 2015. First published May 2009. Revised June 2015.